Bring on the green flashing lights! Nintendo has confirmed it is still committed to the StreetPass function of the 3DS by announcing during an analyst briefing at E3 that it is creating thousands of new StreetPass relay stations across the US and Europe. The company plans to turn 28,000 Wi-Fi access points into relays in the US, while Europe is set to see 24,000. This could vastly improve the functionality of the 3DS and could enable players to find more Miis in their Mii Plaza. Nintendo has been sending a few familiar faces to people's 3DS systems, including Eiji Aonuma and Hideki Konno, during E3 via SpotPass. What are your thoughts on this? Do you think it'll help you on your StreetPass adventure? Let us know in the comment section below. 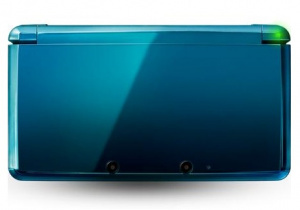 I know this may seem like a dumb question, but what exactly is a StreetPass relay station? Yea. I thought you have to pass people to get Streetpass. EDIT: Yes I read the article, but it's still confusing. So when you pass a relay station it will save your data and pass it on to others who walk by? Sounds good to me. Any chance we'll see this in Canada? This is pretty vague... guy's not really telling us what on earth a relay station is. But chances are whatever it is it won't be near me. Or North Carolina since NINTENDO treats it as crud. I also don't get it, though SilentTardis' idea makes sense. So what does that mean again? I'm assuming this will be done through their Nintendo Zone partnerships, as he said "28k" access points and right now Nintendo has around 29k Nintendo Zone locations. Maybe saving everyone's StreetPass data for a few hours or a day and distributing it. That's what I extrapolated from it, anyway. I mean I know what an access point is vs. what a router is, but I'm not sure what else it can really mean in this context. @True_Hero I think they are when you go to Nintendo Zone locations [ex.Best Buy, McDonalds, Star Bucks, etc] you will get a StreetPass tag from other people that have been in that same location. oops sumbody already explained XD, anywayz this will help me a lot. YES! I was thinking last night after Anouma visiting that they should have a way to buy pieces again at 3 coins like how you can hire old allies so I could finally finish some puzzles. This will help a lot. That's great news. Although I do have 5 friends I see semi-frequently to street pass with, it would be nice to abuse more than just Target and Toys R Us for more lv 7 miis! It means if you run into a relay station, it will hold your data for a certain ammount of time, and other people that pass the relay station will exchange information with anyone else that has passed it, even if it's geen an hour since you were in that location. Then, they sens you the streetpass via Wi-Fi, because it isn't local anymore. I understand completely how it works(or how it could work), but any explanation won't be as specific until Nintendo explains it themselves. It may just pass your info to the hext person, but it will still contact you via Wi-Fi if you pass a said relay station. YES YES YES! I've taken my 3DS with my to hospitals and in my car and I've never had any street pass hit! Thanks Big N! Would be nice if they properly explained it! I hardly ever get any hits. I live in a pretty small town, but work in a city and regularly visit my brother in a very big city and almost never get anything. All you guys need to know, is that you'll be getting WAY more Streetpasses. Hope there's at least one in my immediate area! That would be nice. It seems like my brother and I are the only ones in town with them. I have gotten a few Streetpasses, though. I just wish I lived in New York or LA or somewhere huge. SilentTardis must be right - I've never gotten a StreetPass hit from any other than my brother, so it is sad My new goal is to get one before this comes to fruition!! Guys I'm sure its the same thing as the nintendo zone like you get at Best Buy or McDonalds! Now it will also send street passes as well. Tbh I hardly ever use those nintendo zones as its hard to hear anything in that noisy environment! I get a max of 5 street passes a month. If this is what people are explaining it to be it will be super helpful for me. Really interesting! Up to now conventions are the only way to get pink pieces. I hope Nintendo can be as innovative with the WiiU and sales can be boosted there. I'm keeping the faith. Go Nintendo! If it really saves the data and then gives it to the next person, that becomes a new type of asynchronous StreetPass where one person gets data from the other, but not vice versa, which loses a little bit of the fun of a StreetPass where you know the other person has met your Mii as well. Perhaps a better way would be if the relay stations could somehow communicate to a matchmaking server that allows say, a person in a rural area near a participating hotspot in one state to StreetPass someone near a completely different hotspot in another state, that way they still both get each other's data. But nobody really knows until Nintendo explains it. @SanderEvers I wish I got that many. I hope this will boost the number of streetpasses I get. Like @SilentTardis said, this sounds like it will save your information to the relay station and then pass that along to whoever else comes next. I think @BooJoh 's idea would be perfect. It would make completing the map of tag locations a breeze. I have no idea what this means ... but I'm excited about it. T/N Why not in Australia Mr Nintendo?? Hmm, probably nothing will be too close to me, but a quick drive on the Belt could change all that. Sounds like a good idea. Will wait for the implementation. This is perfect, a McDonalds and a Starbucks are both 1 block a part in my town, both with Nintendo Zone, and both within a few miles of my house! Hello Pink Pieces! Since going to the Zelda Symphony of the Goddess concert in London I managed to get every single puzzle piece. Tip, if you're looking for hits, go to a big Nintendo event! Plus, the concert was jaw droppingly amazing. Streetpass is such a great feature - I always get a little thrill when I see that light! Anything that gives it a boost to people living in the sticks is a major plus. awesome. now what is a StreetPass relay station? Oh, that is not fair. Earn your StreetPasses fairly everyone! I like it. My job runs on a route, so I take my 3DS everywhere. Those damn hats and puzzle pieces are some sort of weird obsession. It doesn't really help my progress in StreetPass Mii Plaza since I live in neither North America nor Europe. I live in the second-most-forgotten continent, Australia. the problem here in the states is that we are much larger than the UK and much of the country is rural. it's not easy for the majority to go to nintendo events. Sound like fun. Wishful thinking on my part but it would be cool if it extends to retail games. I can get over 16 street pass with any type of Mario game but hardy one with rhythm thief or kingdom hearts 3d. I love StreetPass, so this is good news for me. Brilliant idea!! I feel this is Iwata and co. at work! I love StreetPass Mii Plaza! Right now, I only play Find Mii (2) and Puzzle Swap when I max out my coins every month @ 300. I go through all my coins hiring old allies and taking my chances on puzzle pieces. It's like a monthly treat! I take my 3DS everywhere and average about 3-5 StreetPasses a month where I live so this is going to be great! I (sadly) go to McD's about 2-4 times a month (don't judge, I can't pass on the $1 burgers and cookies) so this should double my passes. It's a great idea on so many levels! I always envied Japanese 3DS owners merely on demographics as there are many pedestrian commuters with their systems on them at all times. In case many of you forgot, the StreetPass is a huge function of what makes the 3DS a unique system! I live in a not-too-terribly-large state capitol, so I get about 3 StreetPasses a week. So what I'm saying is, I don't technically need this, but it'd still be welcome. In a word: AWESOME. I've had all the hats for my Mii for quite some time now, but for getting the purple center pieces alone this is great, Keep'em coming! Love the idea of relay stations but saddened by one point: When you street pass someone, you exchange information both ways. With the relays, 20 people might pick you up but since you're not around, you probably won't get their data in return. @Rawk_Hawk True dat, my Homie. Sorta defeats the purpose of going everywhere with your 3ds. Nintendo are stupid. I concur. I've taken it lots of places, to no avail. These stations are a great idea! Not sure what this mewns, but I'm very interested in more streetpassing, especially with X & Y coming out. don't forget that if the next 20 people pick up your mii, wouldn't that mean that you pick up the previous 20 that have already passed the relay. It works both ways regardless. @BONHOMME-7HEURE it's too far for me in the situation I'm in now... :-/ Btw would you like to add me on WII U or 3DS (or even both)? I got my 3DS in late 2011, and I take it everywhere with me. This year I have noticed an increase in streetpass hits, lately I've been getting at least one new person a day. Very encouraging. @True_Hero Most likely a international way to connect with 3DS owners and use them as help in Find Mii I and II, and Puzzle pieces. ; Consider it like Miiverse. hooray for the first world! @SBOY Can you add me? Maybe I live near you! @Mariru WII U or 3DS? On WII U just find "SBOY U"... On 3DS my friends code is not near me now... If you use Twitter add me there too! It would be easier to set all up! @tsm7 But you already can ever since the beginning of StreetPass. Blue pieces can be bought, pink ones can't. @True_Hero It sounds like they're adding these "relay stations" to existing Nintendo Zones (located at malls, McDonalds, Best Buy, etc.). I imagine that these relay stations will collect Mii data and distribute it to passersby. Start bringing your 3DS along for your shopping trips! @BooJoh Both people get the streetpass, one from the hotspot, the other one from wifi as soon as it connects to it. Andy Green. There is little clarification as to what a 'StreetPass Relay' is in the article. Can you please update your piece with this information. Do you know how it will work? Has Nintendo clarified it further? I'm only posting this as I'm still confused as to what you are reporting here. If the 'relay' is just a Nintendo-zone, Nintendo might hold/exchange miis on their servers and distribute them via wifi. For example: if I "leave" my mii at a hotspot and someone streetpasses it, I would get their mii from my home wifi from the Nintendo server. If they're smart they should put one relay station in every videogame shop across Europe IMHO, so the people could bring their 3DS with them, so while the owners could have a look at the newest titles their console could download and share new data. AFAIK the only places in Italy that have these relay stations are the McDonald's restaurants. i hope it will help. i bring both my 3ds's when i go to conventions and my girlfriend brings hers, and we take regular streetpass breaks. thirty mii's times five (+1 home) breaks, so when we compare well, we get a lot of pieces. but even for that purpose i won't take my pikachu 3ds out of its box! i still have three puzzles to complete i believe. fire emblem, luigi's mansion and animal crossing. Man, I'm up in DC and have tried lugging my 3DS everywhere, and getting zilch. I don't know how this will work, but if it helps I'm all for it. This is good news for me, as I hardly get Streetpass tags from people lately where I live. Yo, we need this in Canada too, Nintendo. I think this is great. Portable gaming here in EU isn't as widespread as in the US or JP, I think this would help people in smaller cities to at least have some streetpass functionality if they don't know/meet anybody else with a 3DS. If I go to the bigger cities, I just get a max of 5, not very much. A 3DS relay station is basically a street pass data distributing station that will use existing public Internet connections i.e. malls, restaurants, McDonalds, to pass on your street pass data. They will work like this:Someone will pass by a relay station, and the relay station will save their data. The next person to walk passed that relay station will get that other persons data. Then the relay station will save that persons data and so on. Go to mcdonalds or home depot with the system in sleep mode and see what happends.